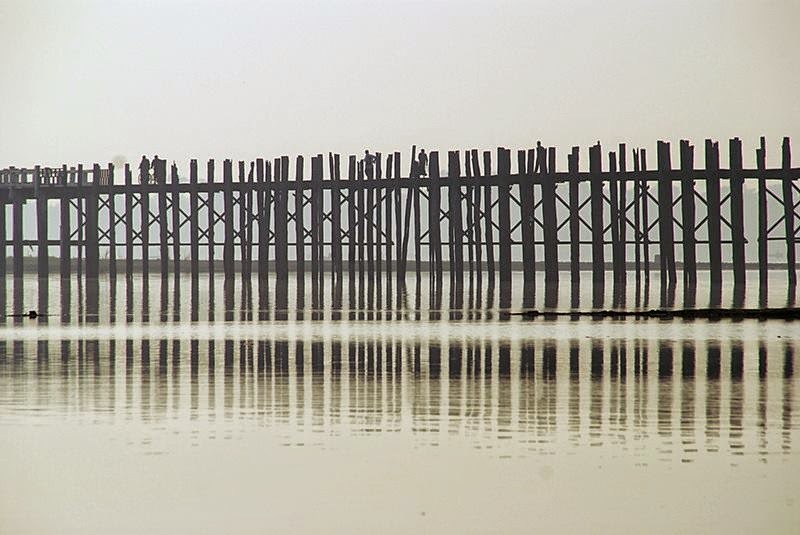 U Bein Bridge — Myanmar, A country located in Southeast Asia, the Indochina peninsula, while not so popular among tourists, such as India or Hong Kong. 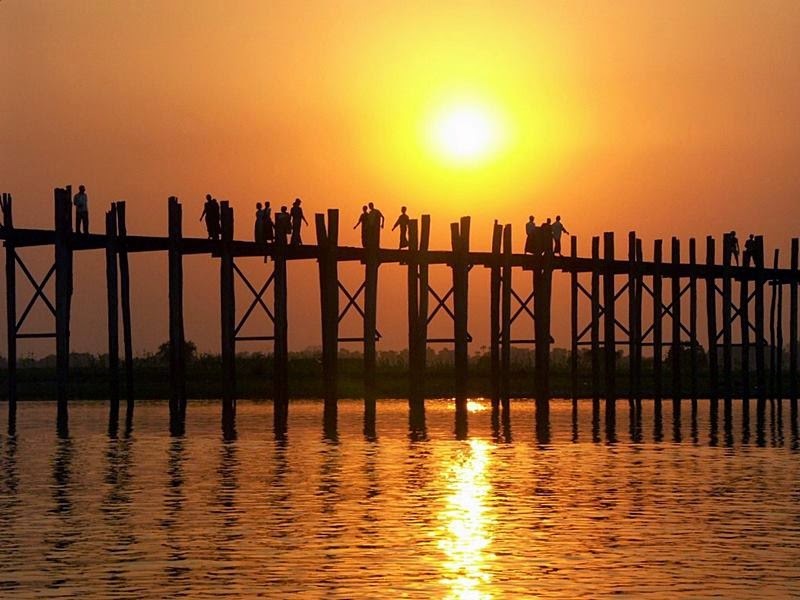 But even in this relatively small country has a number of attractions that certainly deserve the attention of travelers. 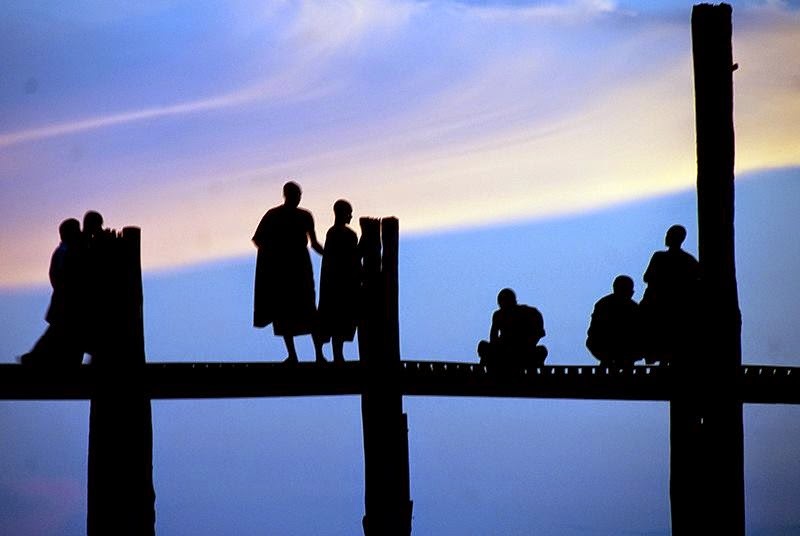 U Bein Bridge - both the oldest and the longest teakwood bridge in the world - of course, refers specifically to such unique objects, not to visit that is simply impossible. 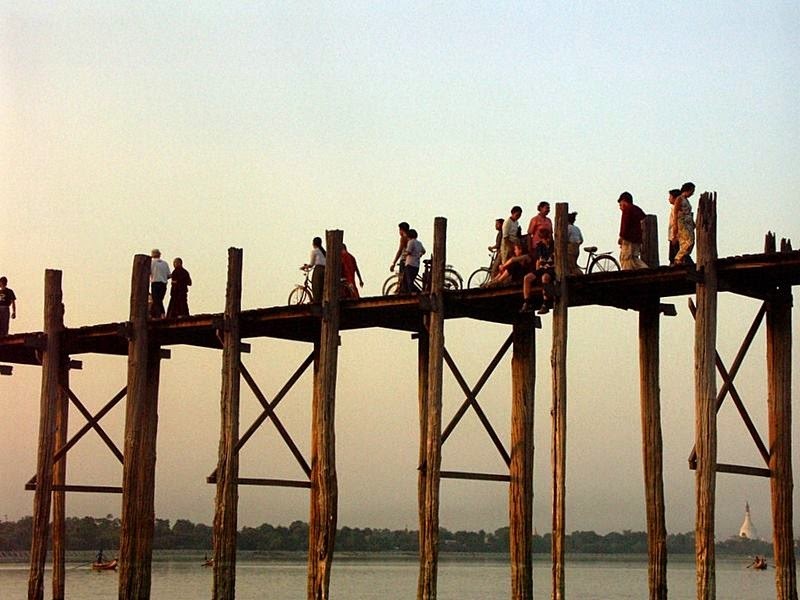 The exact date of construction of the bridge U Bein Bridge is unknown. 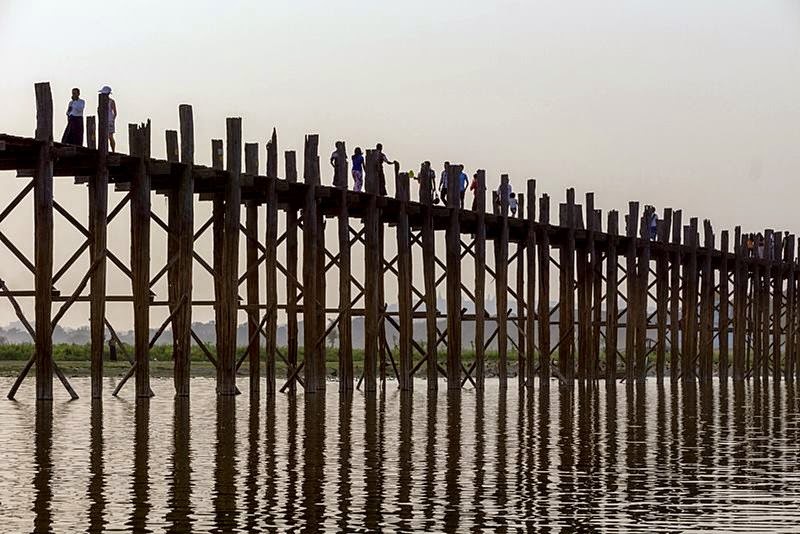 Scientists call in 1850, the bridge was built in just one year. 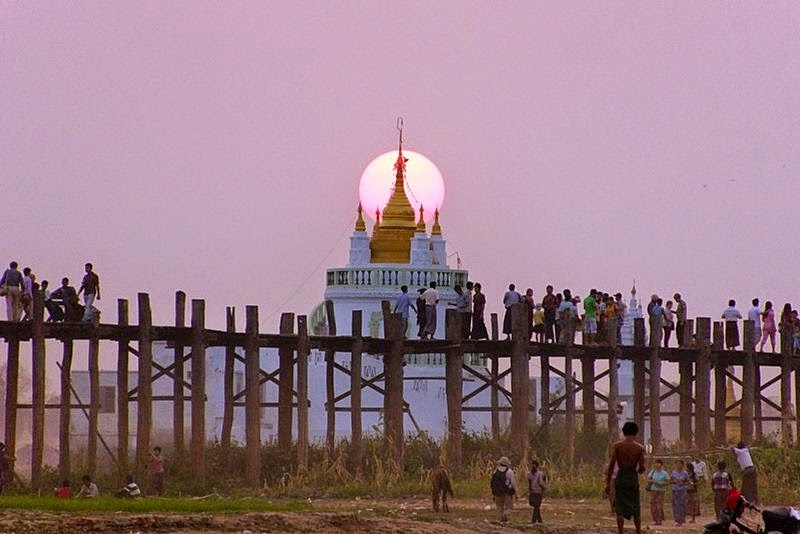 To visit the bridge U Bein Bridge, should go to the District Mandalay in central Myanmar. 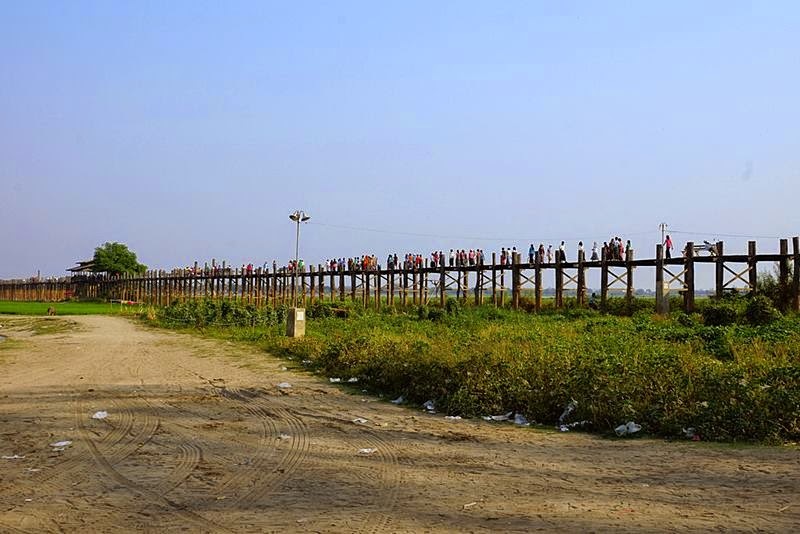 The bridge has always been of great importance to local residents, as during the rainy season, another opportunity to cross the lake they simply do not. 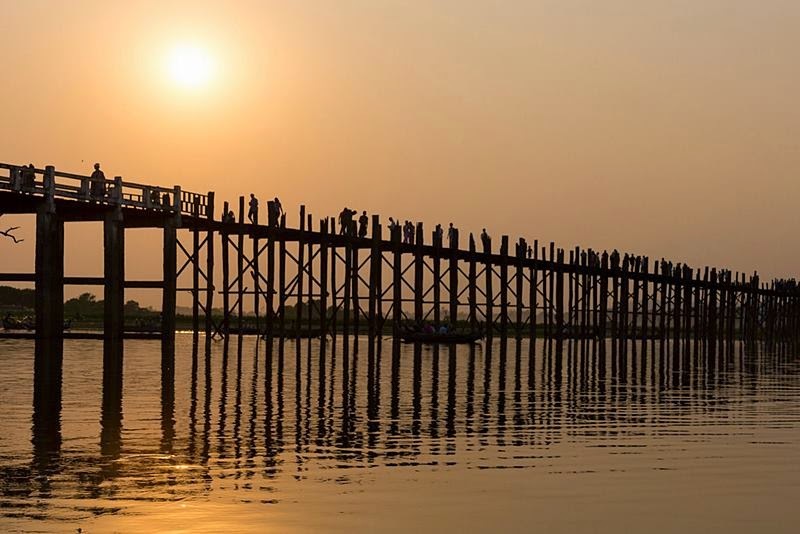 Today the bridge U Bein Bridge - is also an important tourist attraction that brings considerable profit to the local population actively offer travelers a variety of souvenirs. 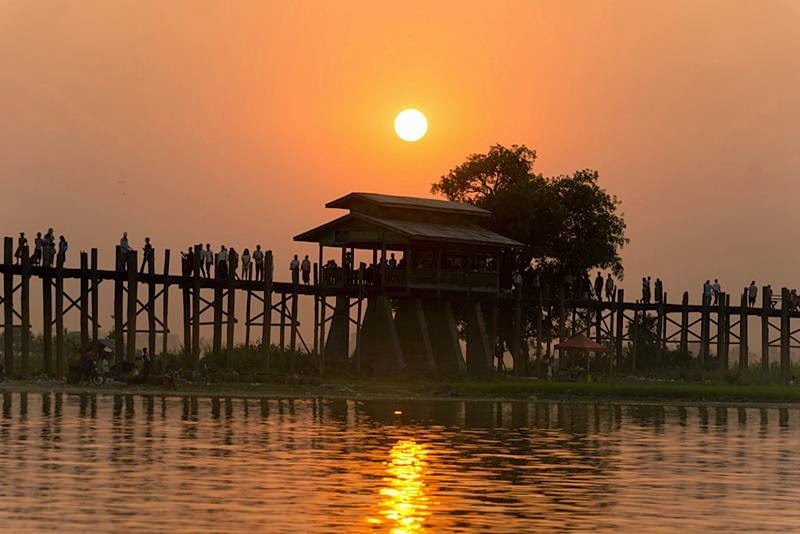 Tourists love to sit in one of the covered porch with benches, offering beautiful views of the surrounding area. Under the bridge to equip nine passes for boats. Guard the bridge eight policemen, so that the safety of tourists is guaranteed. 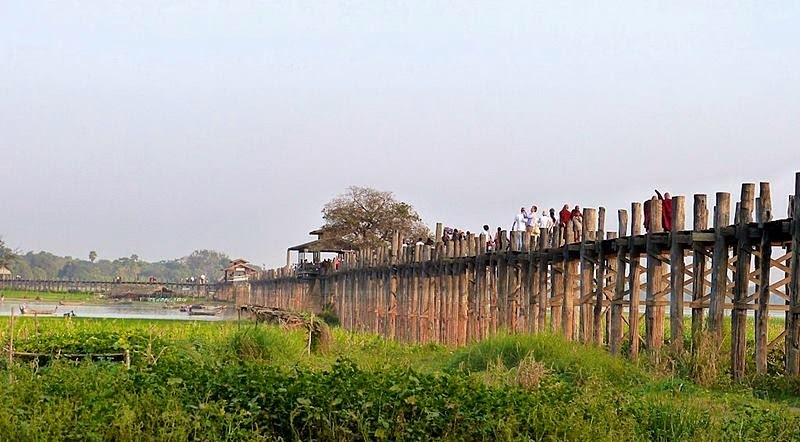 Despite the fact that teak is particularly strong, individual logs out of 1086 pillars on which rests the bridge U Bein Bridge, has had to be replaced by concrete. 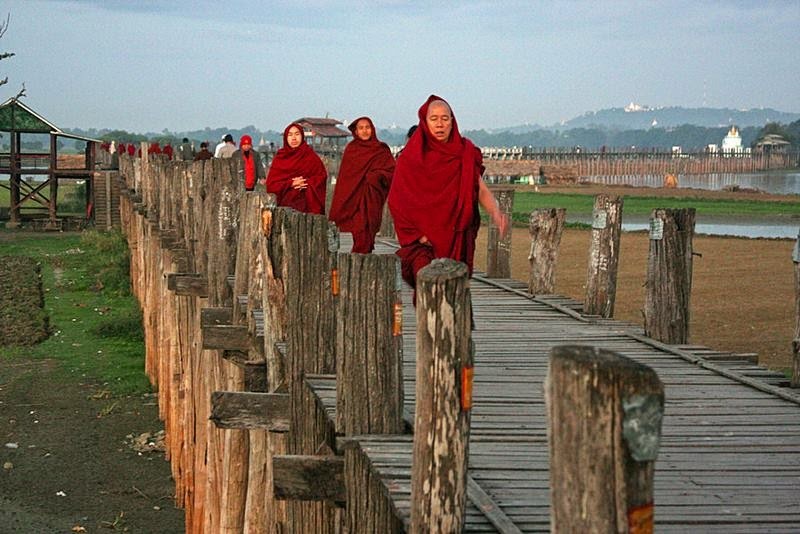 The overall impression from the ancient, solid and very beautiful buildings that did not spoil.